I popped in to Brìgh Music & Tea after lunch today for a spot of chocolate (they carry Katlin’s, and it is excellent). It turned out to be a bustling day in the shop, with guitars being sold, and tea being offered, and questions being answered. 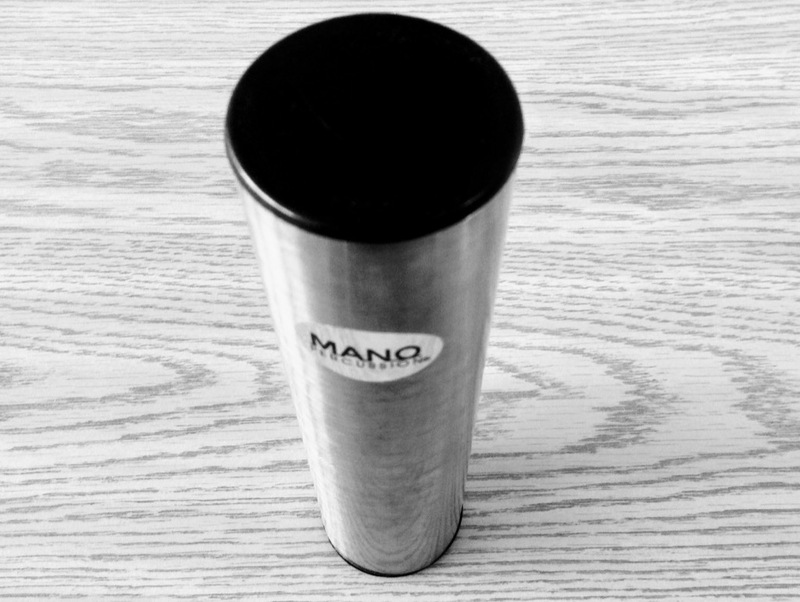 Between tea and chocolate I happened upon a Mano Percussion shaker, tucked away in a hidden corner, and, what with it being reasonably priced at $9.38, and the Reinventorium currently lacking a house shaker, I added it to my bill. As I was settling up, personable co-owner Mary MacGillivray asked me to remind you all that they are open every day through Christmas Eve for all your holiday shopping needs. 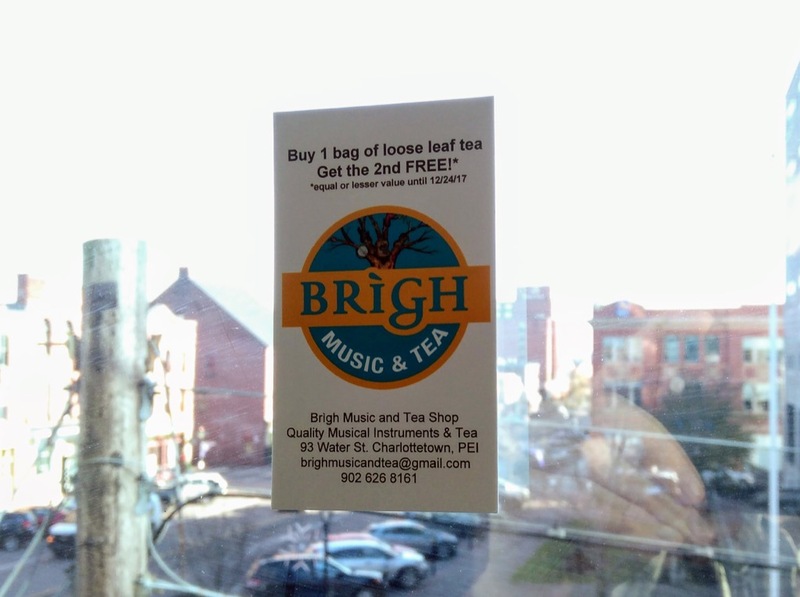 And until Christmas Eve they have a “buy 1 bag of loose leaf tea, get the 2nd free” promotion. So now you’ve no excuse not to put a ukulele under the tree, and to infuse your home with the pungent aroma of their Berry Berry tea. Written November 22, 2017 at 1:15 p.m.